There are myriad things that lure people to plan a trip to Jaipur – its bustling markets, rich Rajasthani culture, historical shrines, insightful museums and more. However, the sprawling fortresses of the Pink City have always been its biggest draw. 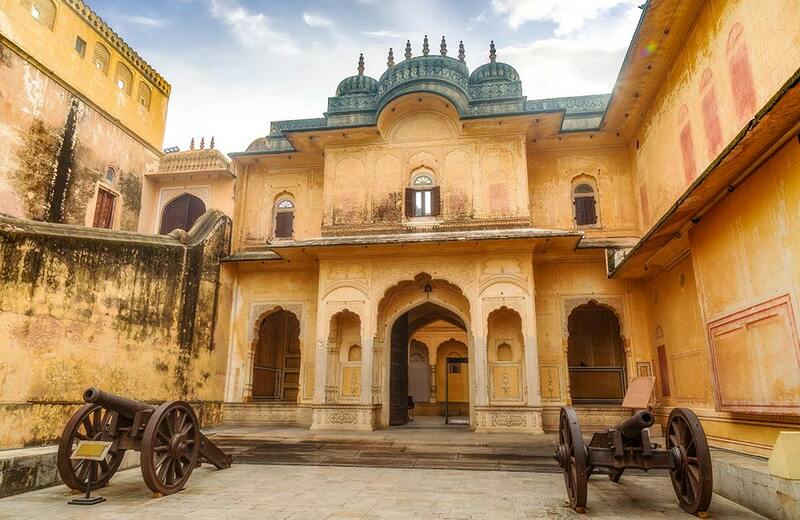 These remnants of Jaipur’s glorious past aren’t just architectural masterpieces evoking “awe” with their sheer grandeur, but also by providing a glimpse into the royal lifestyle and military might of the former rulers of the region. Dating back centuries, these magnificent monuments are the pride of the locals and the place from where every first-time visitor should kick-off his/her city tour. Take a look at all the splendid fortresses that mark the map of Jaipur. Sitting pretty on the top of a hill on the outskirts of the city, Amber Fort is a gorgeous monument built with white marble, and pale yellow and pink sandstones. It graces the list of UNESCO World Heritage Sites, which is a testament to its historical, architectural as well as cultural significance. The construction of the structure began in 1592 on the orders of Raja Man Singh I, but it was only completed years later by Mirza Raja Jai Singh. The strong exteriors of the fort built to defend against the attacking enemies are complemented by opulent interiors befitting a ruler. Another thing that fascinates discerning tourists, who have knowledge on the subject, is the amalgamation of the Hindu and Mughal styles of architecture. The entire fort complex is, in fact, comprised of four sections, each of which has its own structures and courtyards. Sheesh Mahal and Diwan-e-Aam are the two highlights of Amber Fort you would not want to miss out on exploring, and so is the light and sound show organised here in the evening. Nestled in the heart of Jaipur, City Palace was constructed by Sawai Jai Singh II, the very ruler who founded the Pink City. This stunning monument is a fusion of Mughal and Rajput styles of architecture, which is pretty apparent in its many features. 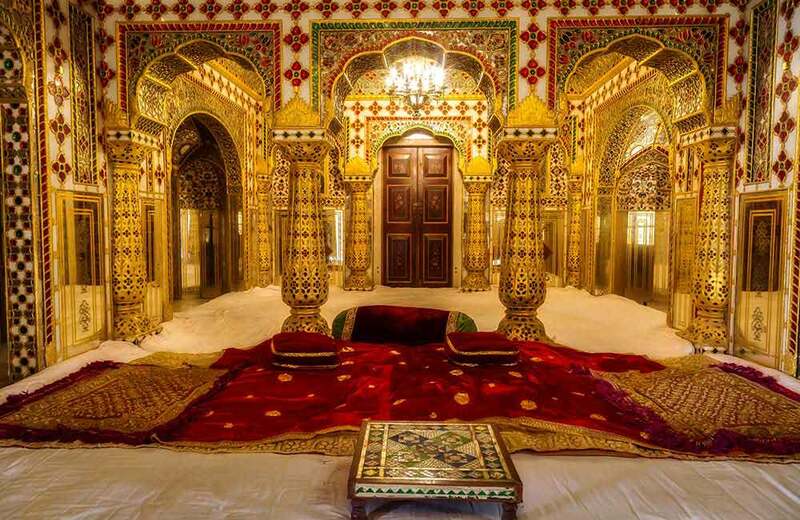 It is home to the last royal family of Jaipur, which lives in the private section of the complex. Much of it is open for visitors to get a peek at the royal lifestyle. Mubarak Mahal, a part of the City Palace Jaipur, has been turned into a museum where you can come across clothes that were once worn by Maharaja Sawai Man Singh II and Maharaja Sawai Madho Singh I. Stepping into Maharani Palace you will see Rajput weaponry. Some items displayed here date back to the 15th century. Nestled on a ridge in the Aravalli Hills, Nahargarh Fort Jaipur was once a crucial fortress to defend the city against invaders. Today, it stands as one of the most prominent points of interest in the area, narrating the captivating tales of the past. Originally named Sudarshangarh Fort, it was later renamed as Nahargarh Fort, which translates into “the abode of tigers”. This is another one of the many structures that were built by the founder of Jaipur, Maharaja Sawai Jai Singh II. But while the legendary ruler constructed the building in 1734, it was heavily expanded about 130 years later in 1868. In the hundreds of years of history of the fortress, it has never been successfully invaded. However, on a visit to the monument, you can still see the marks of the battles it survived. Apart from the intricate murals that adorn the corridors connecting the various sections of the complex, the sweeping vistas of the cityscape are another thing that cast a spell on all visitors. Like many on this list, Jaigarh Fort is yet another monument gifted to the Pink City and its people by Maharaja Sawai Jai Singh II. It was built sometime in the early 18th century with the purpose of defending the nearby Amber Fort and the palace within it. The monument is located about 15 km from the centre of Jaipur amid arid lands. 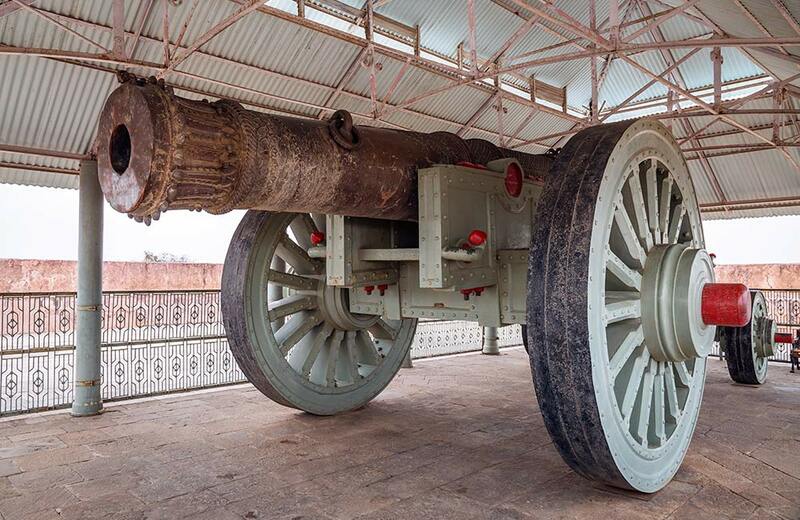 This fort also houses Jaivana – believed to be the largest cannon in the world. A legend associated with Jaigarh Fort claims that a treasure buried under the monument was found in the 1970s, which was seized by the government. Despite being centuries old, the fortress is in a great condition. You may call it “the most overlooked point of interest in Jaipur” since, despite having so much to offer to tourists, it is often missed for other attractions in the city. There are underground tunnels connecting Jaigarh Fort to Amber Fort located not too far from here. 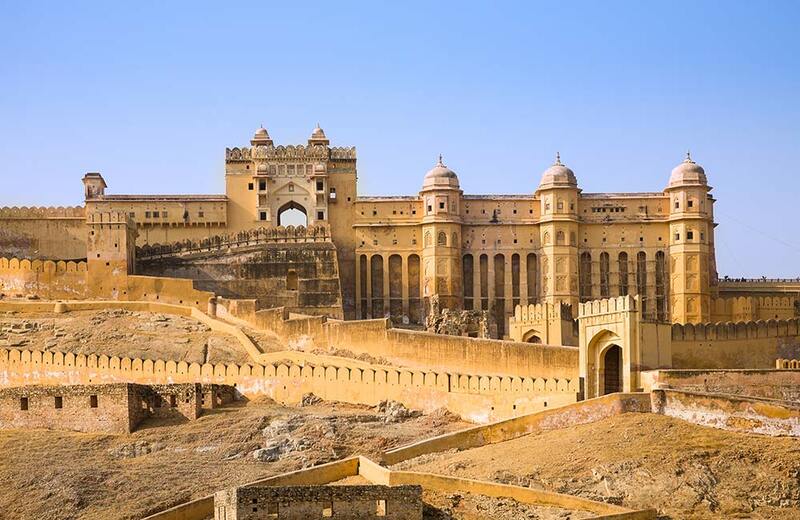 So, these are the forts in Jaipur that will keep the history buff in you hooked during your visit to the city. You can book one of the FabHotels in Jaipur near all these incredible fortresses for easy access. Best trekking places near Bangalore to fuel your adrenal rush! !